Pioneer Electronics unveiled its new flagship SC-57 and SC-55 Elite receivers which incorporate company’s new Class D3 digital amplifier technology that delivers massive power output with much less electrical power consumption than traditional designs and come with included various network connectivity options and features like Bluetooth Audio Streaming, Apple’s AirPlay, DLNA Certified (1.5) networking, Internet radio and Pioneer’s proprietary iPad, iPhone, iPod apps including iControlAV2 and Air Jam. Both receivers are THX Ultra 2 Plus certificated and Pioneer claims that can deliver immersive surround sound in large rooms up to 3000 square feet. 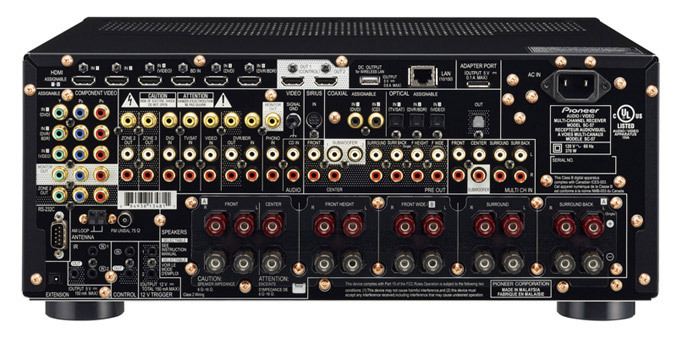 They offer 140 watts x 9 channels and of course support high-definition audio formats like Dolby TrueHD and DTS-HD Master Audio, as well as new DTS NEO:X surround, providing a 3-D surround experience for up to 11.1 channels. Both units are also equipped with Marvell Qdeo video processing and Pioneer’s new Advanced Video Adjust technology that automatically optimizes video signals by the type of display connected to the receivers, such as plasma, LCD and front projector, and Stream Smoother feature which enhances compressed video files by reducing compression noise and establishing more detailed, finer images. Along with the wide range of input/output interfaces, both models also comes and with a USB ports, allowing audio and video playback from iPad, iPhone or iPod. 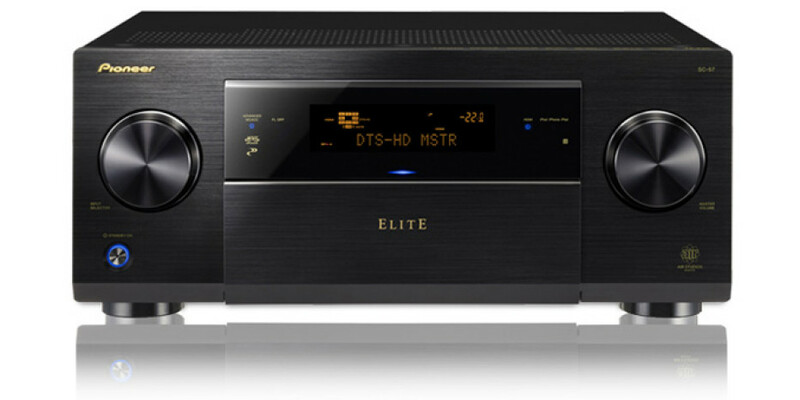 The new Elite SC-57 and SC-55 receivers are available now priced at $2000 and SC-55 $1600, respectively.